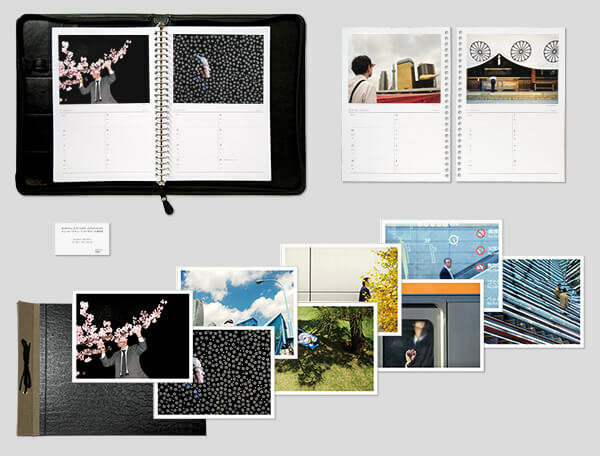 A series of Japanese photo agendas illustrated with one photo a week. 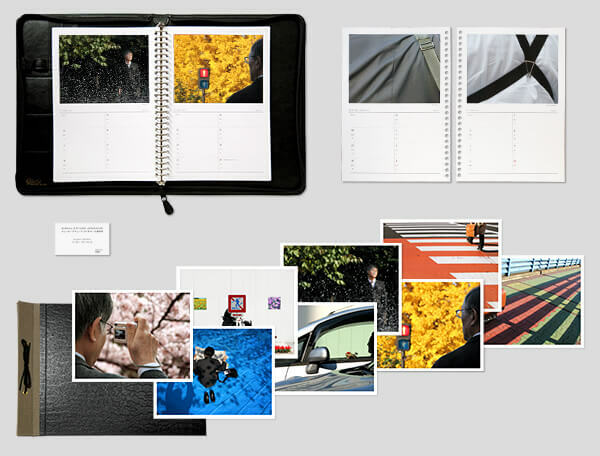 Size: Japanese B5 (18.2 x 25.7cm or 7.2 x 10.1 inches) 64 pages, 53 color photos, soft cover, offset printed in Japan. Bilingual (Japanese / English). 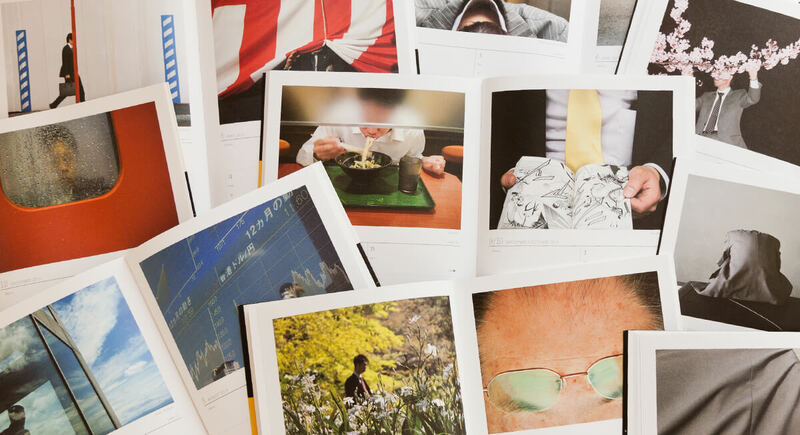 Each issue comes with an additional insert. 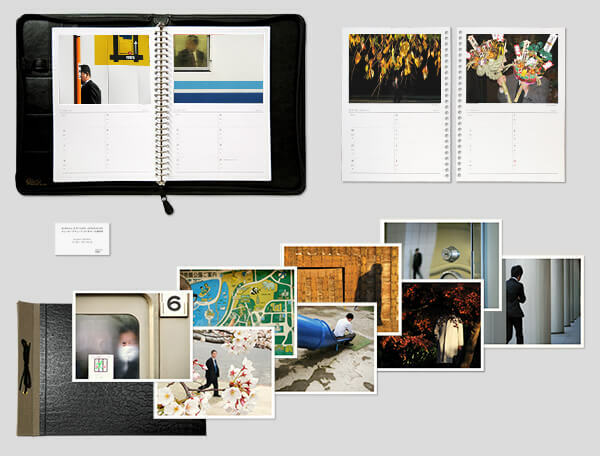 Photo agenda in binder with 8 limited edition prints and patron card (edition 20). A fascinating photography project (...) situated somewhere between documentary style street photography and concept art. At the sight of such familiar scenes, we Japanese can’t help having a vague feeling of sadness. However, in Bruno’s work, as if by magic, these men undergo metamorphosis and turn into fascinating and mysterious apparitions.